One of Ireland's foremost songwriters Jimmy MacCarthy returns to performing with his ‘Prophecy / conspiracy?' tour. Having worked with major Irish artists and released four albums, this tour will pay homage to old favourites such as 'Neidin', while introducing more recent work such as 'Andalucian Gray' and ‘Children of Mile'. 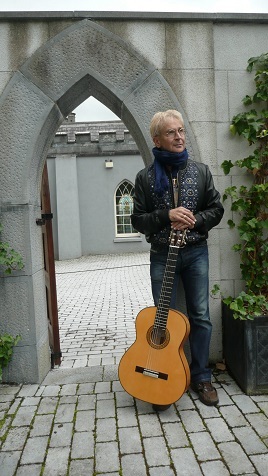 Jimmy has written most of the well known songs in the Irish folk and contemporary repertoire - 'No Frontiers', ‘Missing you' 'Ride On', 'Katie', ‘The Bright Blue Rose', ‘The Contender', 'Mystic Lipstick' and many more. Those that have recored his songs include Christy Moore, Mary Black, Mary Coughlan, Maura O'Connell, Tommy Fleming, Westlife, The Corrs, Celtic Tenors, Sean Keane, Paddy Reilly, Moving Hearts, Frances Black and The Fureys. A native of Macroom Co. Cork, Jimmy MacCarthy was singing in pubs and busking from an early age. His first single ‘Miles of Eyes' was released in 1981. Jimmy has released four albums of his own: The Song of the Singing Horseman (1991), The Dreamer (1994), The Moment (2002) and Hey Ho Believe (2010).